The 15th century saw the dawn of the Age of Discovery, a time when European powers began exploring the world to find new lands and new opportunities. Portugal was in the vanguard of this drive, sailing southwards in their case down the west coast of Africa. So it wasn’t long (1419 to be precise) before they came upon a beautiful densely wooded island some 300 miles off the Moroccan shore. Being practical, they named the island Madeira, meaning wood or timber in Portuguese. It quickly became a staging post for ships sailing to and from southern Africa and beyond, and later across the Atlantic to central and south America. Enterprising settlers from mainland Portugal discovered that the conditions were perfect for all-year-round agriculture – everything they planted grew well in the rich volcanic soil and the climate of comfortable temperatures and moderate rainfall. So as well as farming the land for food and provisions for the vessels that called in, they planted sugar cane and grape vines to produce high-value goods (sugar was once known as ‘white gold’) to trade with the Old World. The eventual growth of the Brazilian and Caribbean sugar cane industry meant that demand for the Madeiran product faded, but their wine was another matter. The addition of high-strength alcohol to the fermenting grape juice made the wine more stable on its long journey to the consumer; and the producer could tailor its acidity and sweetness to suit the customers’ demands. This was particularly appealing to the English traders, and many of them established successful businesses and family dynasties on the island. You can still see English names on wine bottle labels to this day. To taste some of this delicious produce, visit one (or more) of the wine houses in and around Funchal, such as Blandy’s Wine Lodge. Here you can tour the historic premises, learn just why their wines are special, and of course enjoy them! But the sugar cane was not completely forgotten. Today a few specialist producers ferment and distill the raw cane juice to make ‘agricole rum’ – akin to the Caribbean ‘rhum agricole’ from Guadeloupe and Martinique. 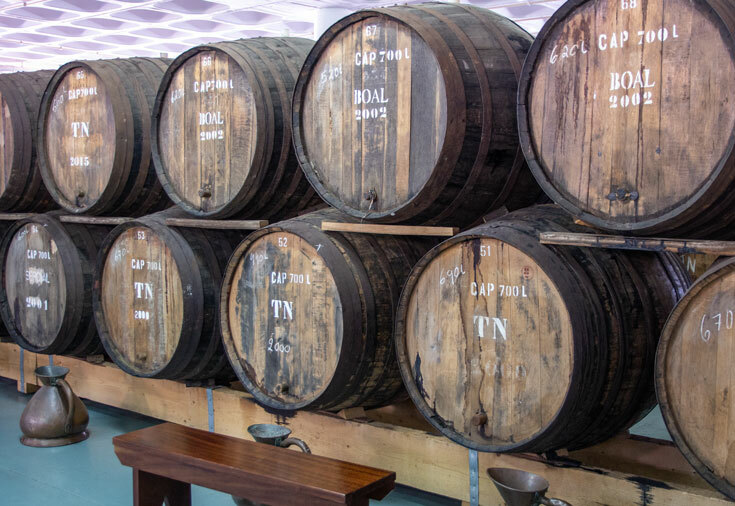 Seek out the real thing in bars around Funchal, or visit Europe’s last steam-powered cane mill and distillery at Porto da Cruz, on the north-east coast of the island. Try the local cocktail called ‘poncha’ – rum, sugar or honey, lemon rind and juice – much prized as a cure for colds and flu! The cane juice that is not used to make rum is refined into sugar, and the by-product of that process is the sweet treacly syrup called molasses. To the Madeirans it’s ‘honey’, and it is the essential ingredient (along with fruit, nuts and spices) in Honey Cake – definitely an edible souvenir to take back to those friends left at home. Farmers in the south of Madeira quickly learnt that the north had a more reliable supply of rainwater than they did. So by 1455 they had begun to dig little canals (‘levadas’) to capture and redistribute that vital resource, irrigating their canes, vines, bananas and other crops. There are now over 2000km of levadas, some up to 128km long. You can take advantage of these historical works of civil engineering, because they form ideal walking paths as they fall at a gentle incline all the way from the mountains to the southern valleys. Choose your route carefully, as some have a precipitous drop on one side or involve negotiating tunnels. The climate of Madeira is so benign that almost any seed planted will grow. This benefitted not only the farming settlers but the estate-owners, business leaders and nobility as well, who surrounded their grand houses with gardens of stunning beauty and variety. There are many gardens once private that are now open to the public, as well as municipal gardens in the centre of the city. 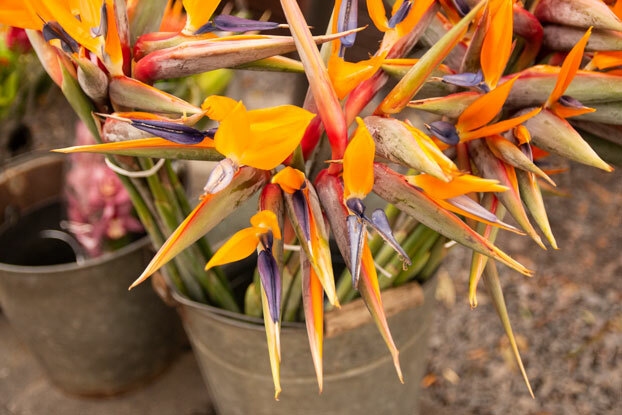 Enterprising horticulturalists brought flowers, shrubs and trees from all parts of the tropical and sub-tropical world, and within a stone’s throw you can see a frangipane from Polynesia, jacaranda from South America, an African sausage tree, and a gingko tree from China. 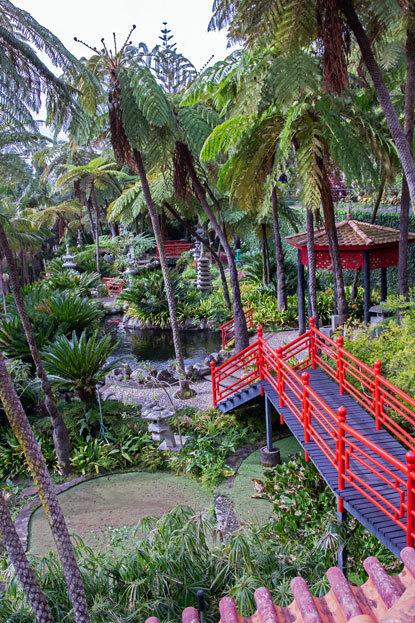 Visiting gardeners are bound to be inspired by the lovely colours, vistas and landscapes in Madeira’s serene gardens. Madeira is steeped in six hundred years of history, and much of it is still alive today. It has beauty and charm, but also these days a wealth of activities for those looking for some excitement and a breath of fresh air. 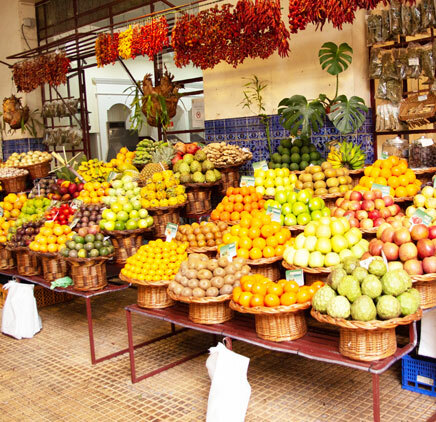 In short, Madeira has something for everyone.